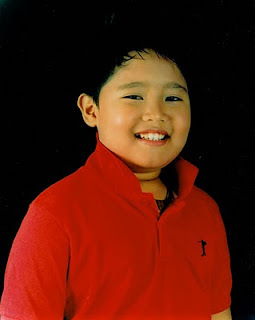 I've been so busy lately bringing my son to and from SM Megamall for his Center for Pop rehearsals. The recital concert is happening in two days and the students had been required to go to the center almost daily. Because of this, my cousins and siblings have already branded me as a stage mom, hahaha! Am I a stage mom? Hmmm, let me see. I'd gladly leave everything to accompany my son to his rehearsals. I'd also make plans as to where I can work on my articles while waiting for his voice lessons to finish. Yes, I guess I am a stagemom and a proud one at that. But while I won't still resort to looking for door hanger printing suppliers to to make door hangers with his face printed on it, I am uber excited of the billboard showing him and his other classmates. We were told that it will be set up along EDSA, probably near SM Megamall. Can you blame me for being a stagemom?